My family has always been there where there were things that had to be taken care of. When Italians immigrated to this country a century ago they brought with them cultural traditions that have gone on to enrich the American way of life. Perhaps most pervasive and beloved is Italian cooking. A far less familiar tradition is Italian witchcraft, known as stregheria. In Sicily, being a strega (female) or stregone (male) is hereditary; one is born into a family of witches and taught the art from birth. 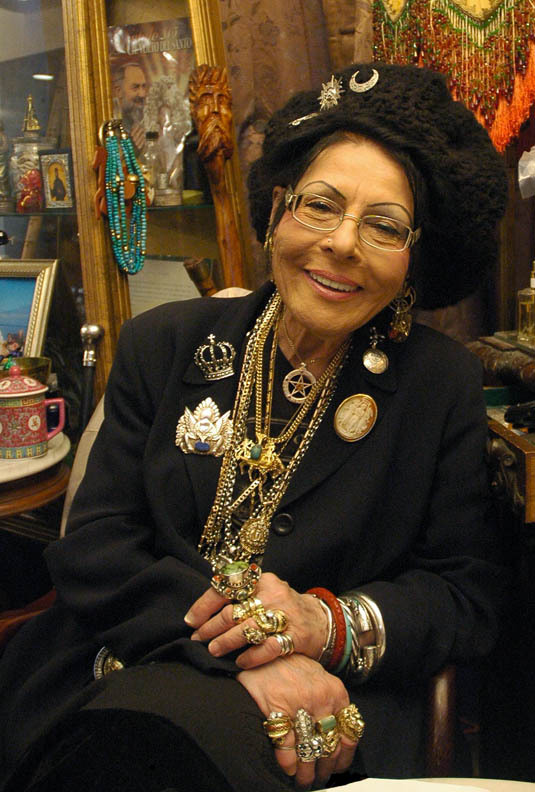 On an afternoon in early December, I drive up to meet Lori Bruno, an Italian-American strega whose family claims descent from the Sicilan strega line of witchcraft. She is also the go-to person in the local real estate market when houses are slow to sell. The Wall Street Journal did a feature article on her during the recent recession, describing how she blesses a house to banish evil spirits. 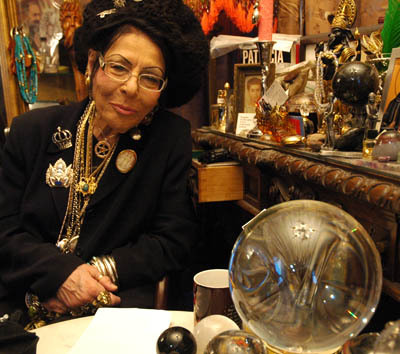 Lori Bruno’s main source of income, however, is from doing psychic readings at Magika, a store she opened a year ago on Wharf Street, in Salem, Massachusetts. 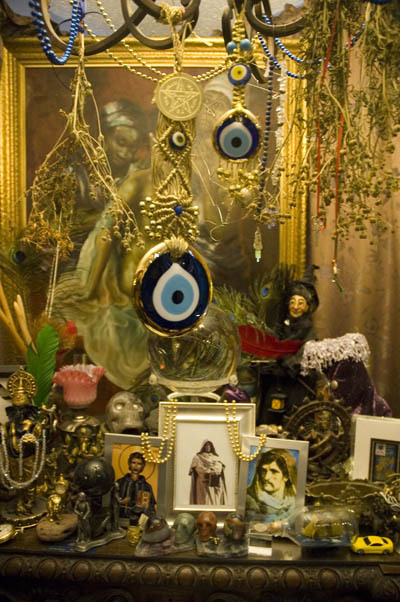 The front of Magika is replete with gift items, statuary, and altars. In the back are two curtained-off spaces for consultation. Lori leads me to an area that she has intentionally set up to feel like a living room. Indeed, it reminds me of my own grandmother’s living room. 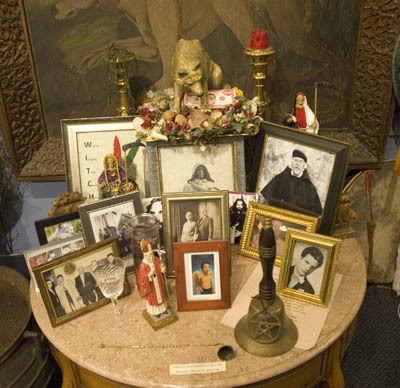 There are far too many objects to count — keepsakes, paintings, candles, sculptures, altars, two comfortable chairs and a small round table, several large crystal balls and evil eyes, and framed photos of saints, martyrs, and ancestors. I ask how far back in Lori’s family the strega tradition goes and she tells me that her family ‘s history of witchcraft, magic, and healing date back to at least the 10th century, as do stories of stigmatization and persecution. On her father’s side, the Brunos trace their family back to 969 A.D,. to Jawhar Siqilli Rumi, who ruled the island of Sicily under the Caliph of Bagdad. Her mother’s side claims descent from the philosopher Giordano Bruno, of Nola, Italy, who was burned at the stake as a heretic by the order of the Pope. Family stories abound of ancestors who stood up for human rights, even in the face of persecution and death. Donna Marietta, a midwife and healer, was burned alive for her practice of treating victims of the Bubonic plague in the 1340s by using Arabic medical texts handed down within the family. During World War II, Lori’s father’s cousin helped Jews by issuing false baptismal papers, saving many Jewish lives. He, his wife, and four children were ordered shot to death by Kappler, who was head of the S.S. in Rome at that time. And yet, this Sicilian Strega line of practitioners survived. Historically, the religious energy in Italy was like an accelerant to the strega tradition. 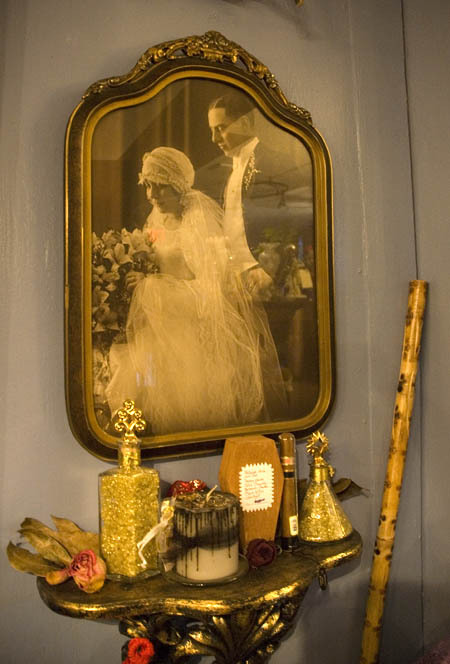 Strega families raised their children publicly as Catholics, while privately teaching them the old beliefs and magical practices. 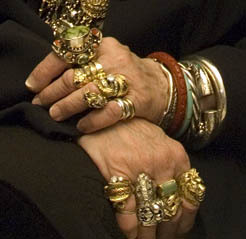 The Sicilian vernacular Catholicism served the strega well. “We would go to church, we’d say Ava Maria, Ava Diana. Our children would become priests in the Catholic church. And right under their noses, they would warn the mothers, when the Inquisition was coming; the host would be put in the mouth flat — they would turn it up and down. That meant go home and hide everything. What was there to hide? Nothing. Throughout the interview, Lori’s way of speaking ranges from a near whisper, peaceful and calming, to a crescendo that ends in an angry outburst, where she rants against isimists, religious intolerance, usury, and the mistreatment of children. Some topics seem like more neutral territory, emotionally. Like the blessing of a house. “Possibly move from it,” I tell her. I tell her I don’t know a Taylor. “Remember, these things are coming, right now. . . You have new life around you this year. Family, very good. Europe also. You may be going, cause I see a passport here . . . ” Then she stops talking and remains silent, her eyes closed. Any relation to you Donas Bruno? (My birth (Bloodline side) Grand Father). I met Lori over 2 years ago. My life has become brighter and lighter, ever since our paths crossed. I have tasted true freedom, and peace that surpasses all understanding. Dr Leo Martello said the weak find away out the strong find a way. Thankyou for lighting the way to Liberty. Very nice article and great portrait! I am so grateful for Lori and her gifts. She has helped me and my family in so many ways. We love visiting her shop. It is a real haven. Her readings are on the mark. We love her for her honesty. Her sense of humor is priceless. We are happy to share our Sicilian heritage. Why does she have a statue of La Santa Muerte? La Santa Muerte is a Catholic Mexican folk Saint and has nothing to do with Sicilian witchcraft or stregheria. Lori, I think you were close to Leo Martello. My mothers last name was Martello and even though they were super into the Catholic religion, they practiced very Strega rituals and didn’t even know it. We all just knew how to commune with nature and are very intuitive. I was wondering if there were any Martellos other than Leo who were Strega familys and if any had a very evil curse put on their ancestors? My daughter came to see you tonight. She said you were a doll, and right on with everything, including names. My daughter said that you thought I should come in too see you. I am a believer, very much so and that is why I am afraid to come in. I have been told by a few mediums, not that I went to see but have come across that have told me I have a spirit behind me that’s always there that is holding me back. Actually a family member on my dads side from Sicily. They have been very specific about it. Can something be done about that. Since I was11 I know who in my family who is going to die,I am now 61 and my Nonna’s comes to me when a family member is going to die including my pets .